With the full participation and encouragement of the DC Comics PR team, George Gene Gastines of The New York Times has spoiled the big moment of this coming Wednesday’s Batman #50 in their headline. 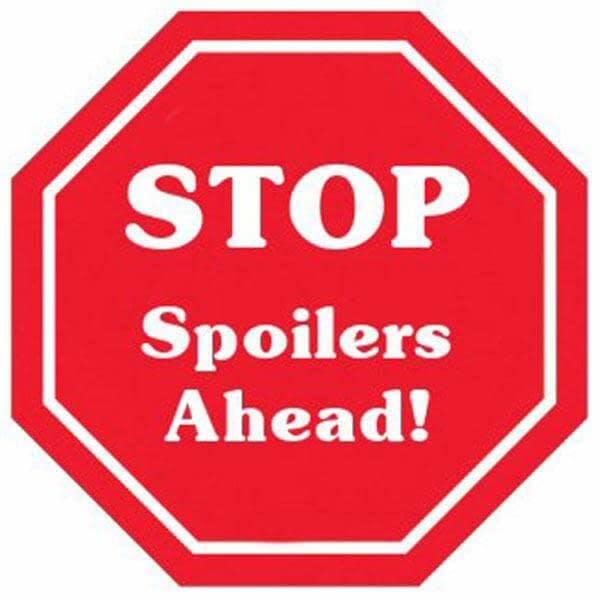 Warning, spoilerphobes: we are going to do the same… but will at least run spoiler warnings first. Yes, like that. Bleeding Cool ran a far less spoilery summation of the issue in question. 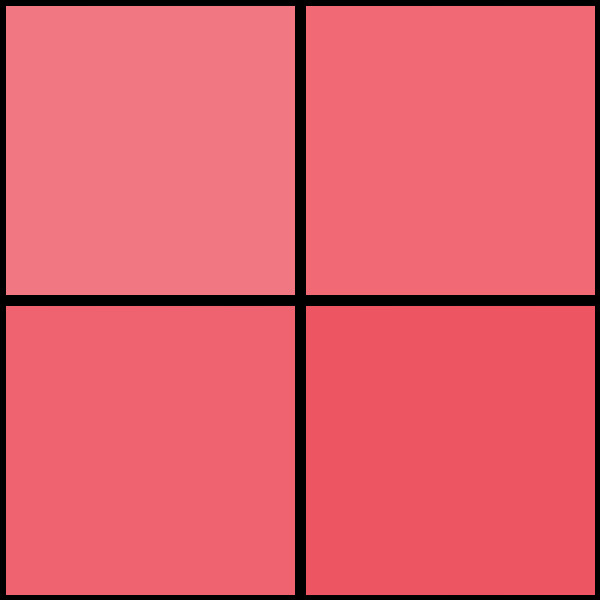 Which you may prefer. Because this is what they report… the paper not only spoils the big twist, but also runs the full plot of the comic in question. In the final moments of their story, the bride and groom end up at different locations in the early morning hours. In a silent page, Ms. Kyle sits on a rooftop, contemplating. She discards her veil and leaps toward the street. At the Finger Tower skyscraper, after an hour of waiting for his bride, Mr. Wayne realizes she is not coming. He throws off his tie and takes a similar leap, but in the opposite direction. Theirs is a story that is forever to be continued. The reaction will be interesting. Some fans have wanted the marriage, some have not. But DC certainly seemed to promise one. And with retailers doubling down on exclusive retailer variant covers, and stores buying in bulk, and plenty of preludes bought in anticipation of the Big Day… this would be the second major comics wedding that hasn’t happened in a couple of weeks. At least Gambit and Rogue stepped in when Kitty and Colossus dropped out in Marvel’s big day. At least the New York Times story will stop any over-promise this week for casual readers. 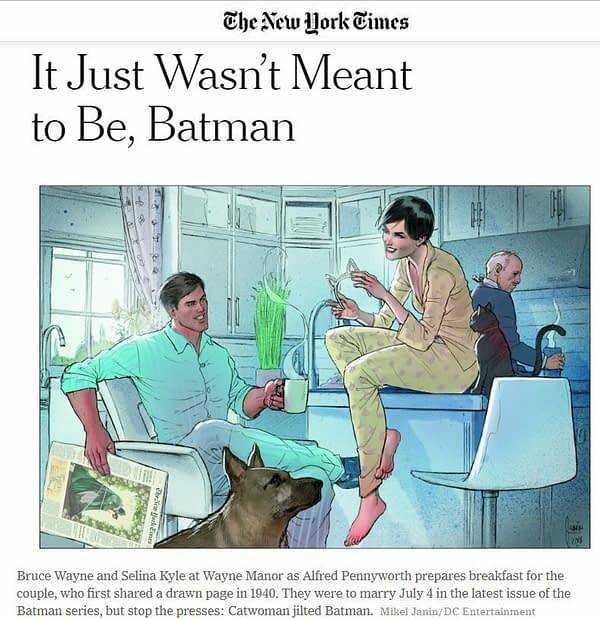 As we pointed out there is something else at the end of the comic which The New York Times may not have realised was significant, which, along with much of the rest of the comic, ties into Tom King’s previous storylines and will serve longstanding fans very well — but might be utterly baffling to newcomers. Superman #75 was pitched as The Death of Superman to a mass audience but much of it may have baffling to a casual reader, a conclusion to a long-running storyline. But at least Superman died in it. Hmm… you don’t suppose Batman #50 could be declared returnable, do you?